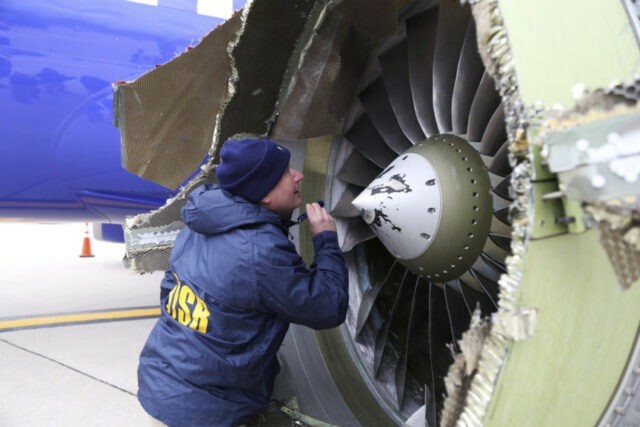 Federal investigators were still trying to determine how a window came out of the plane. The woman sitting next to it, identified by family members as 43-year-old Jennifer Riordan, was wearing a seat belt. Philadelphia’s medical examiner said the banking executive and mother of two from Albuquerque, New Mexico, died from blunt impact trauma to her head, neck and torso.